The MINI often suffers from a failure of it's crank pulley. The rubber between the inside and outside of the pulley separates. 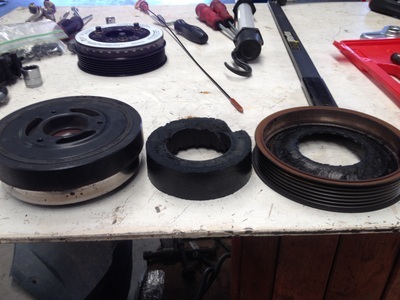 The issue is very common, and generally occurs at or before 100k miles. This failure is most likely to occur on earlier MINI and MINI S's from 2001-2005, but some owners of 2006 models can also see this problem. 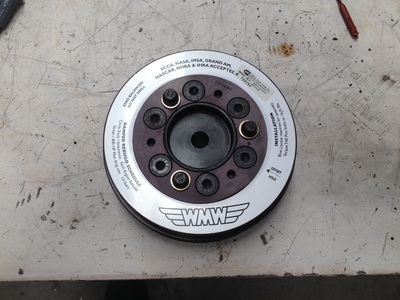 The 2005 to 2008 MINI and MINI S Convertible shared the same motor, and can therefore also see the problem. The symptoms of this failure include a loss in power or "limp home mode", slipping belt noises, battery light on the dash display, a burning rubber smell, the front engine belt coming off, and over heating issues. 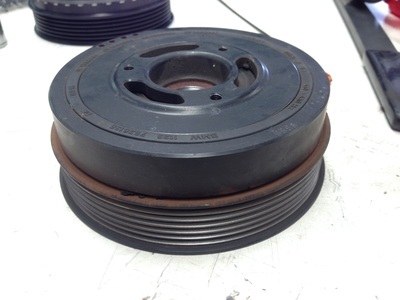 Since even the newer cars with revised pulleys from the factory experience this issue, HPMotors recommends replacing the pulley with an upgraded part from a trusted aftermarket supplier. The same failed pulley now displayed to show the separation that occurs. 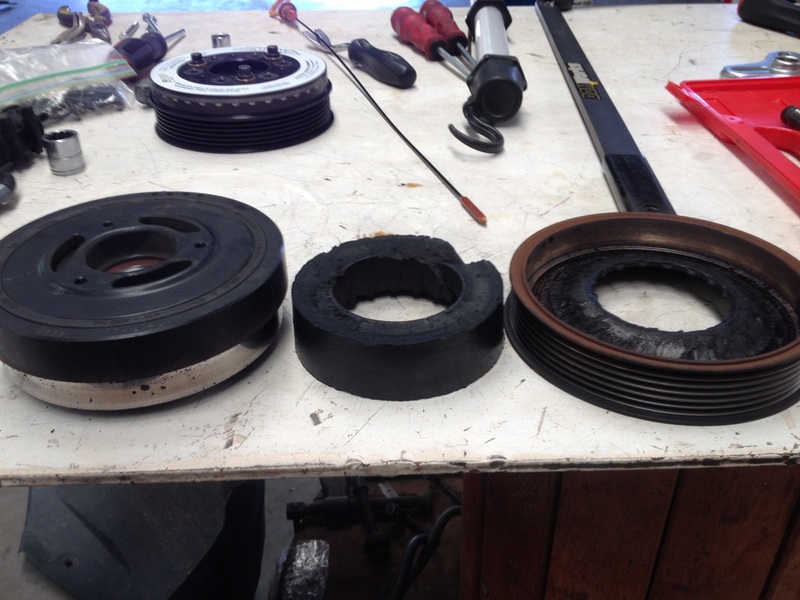 Inner balancer, rubber mount (failed), outer belt surface. This upgraded replacement pulley should last the lifetime of the vehicle.